The long list for the Guardian First Book Award 2009 has been announced. It is great to see The Wilderness by Samantha Harvey (one of my favourite books of the year so far) on the list, but I haven’t read any of the other books. Have you? Steven Spielberg hooks Michael Crichton’s pirate adventure. James Kelman rants about Scottish literature. 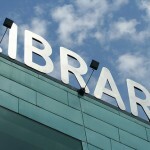 Booker sales flatten after longlist boost. Nymeth recommended Saplings by Noel Streatfeild . This was the Persephone book which intrigued me the most during Persephone Reading Week, hosted by Claire from Paperback Reader and Verity from The B Files. I’d like to congratulate them both on an amazing week. They did a great job promoting these books and my wish list has just grown to include all of the titles from this publisher! Thank you! Thank you so much to everyone who nominated for a BBAW Award! I was nominated for best general reviews blog, best literature review blog, best reviews, best writing, best new blog, most altruistic blog and best commenter – thank you so much! Finding I had been nominated for so many awards was one of the happiest moments in my blogging career. 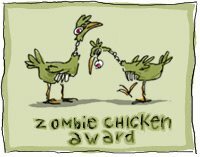 Jenny from Jenny’s Books awarded me the Zombie Chicken award. Thank you so much! If you haven’t seen Jenny’s blog then you should go and take a look. She writes really good reviews. She has just reviewed a scary graphic novel which sounds great: Bayou, Vol. 1, Jeremy Love & Patrick Morgan I was thinking about buying it, but I’m just not sure I could cope with the nightmares she says I’ll get if I read it! 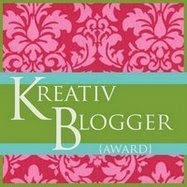 BethFishReads awarded the Kreativ blogger award to me. Thank you Beth! Beth was one of the earliest subscribers to my blog and has been there for me ever since. She is one of my favourite bloggers. You see looking at the Guardian first book award could be lethal… I would possibly have a whole new list of more books to read and that would be too much! Congrats on the nominations and awards. Simon, I know! I am resisting for the time being, but all the wonderful comments below are weakening me. Maybe I’ll try one or two….. I read The Selected Works of T.S. Spivet from that list and I really loved it! I’m glad to see it’s gotten some recognition. Congratulations on your BBAW nominations and your blogger awards! Meghan, TS Spivett seems to be getting very mixed reviews. I’m not sure whether I want to give it a try or not. I might have a quick flick through it next time I’m in a book shop. I liked looking through the Guardian First Book Award nominations. Along with The Wilderness I have also read the T.S Spivett book but I would say I enjoyed the first half much more than the second – it got a little “derailed” from its initial premise I felt. But the marginalia and drawings on almost every page it is one of the most beautifully produced books I have seen in some time. I have recently received a copy of Direct Red after reading many glowing reviews – in the UK and Australia. I am very partial to medical memoirs and this one looks great. Samantha, I have heard about Direct Red before, but it does sound a bit gruesome. I could be tempted though….perhaps I’ll wait for your review. What a great and varied selection for the Guardian First Book award. I have the Edward Hollis one about buildings, plus the Rehearsal by Ellie Catton and the Wilderness in my TBR pile and am looking forward to all; I’m also desperately in want of the surgeon’s book – Direct Red. Well done on all the awards and noms too. Annabel, I am impressed by the number of books from the list that you are planning to read. I look forward to your reviews. Jackie, congratulations on the blog award nominations! Completely well-deserved. I came across the James Kelman rant myself. Interesting. He never minces his words. I am avoiding the Guardian first book awards just now as I have imposed a book-buying ban (not as strict as Nymeth’s! Well, no rules, but no books either) until I have made a big dent in the huge TBR pile. The library doesn’t count and a few pre-orders I have still stand. Claire, I’m sure you’ll be able to find a few of the Guardian books at the library. Good luck with your TBR pile! Congrats on your BBAW nominations! And thanks for the sweet comment. The Calligrapher’s Daughter hopped on to my wish list too. Beth, It does sound good doesn’t it? I’m hoping to win her competition so I don’t have to buy a copy! Well, Nymeth says it’s not that scary, and it is definitely very very good. Check it out online first & then see what you think. Just, you know, not right before you go to bed. Jenny, Nymeth found The Victorian Chaise Longue scary when I didn’t, so the things that frighten her must be different to me. I’ll look in to it anyway as it does sound good. Congratulations on the awards and the nominations. I really want The Calligrapher’s Daughter too! It sounds fabulous! Kathy, Nymeth always seems to find amazing books. She is really adding to my wish list this year! You deserve all the nominations that you received! I wish you luck in the short-listing process! Some good links here…I haven’t even HEARD of the books on the Guardian list, except for The Wilderness (from you!). Are you going to tackle this list? I almost had to laugh at the article on Kelman. Woo boy! That guy has some pent-up angst! He needs a glass of wine! I saw that review by Nymeth. It made it to my list! I haven’t heard of many of the books on the Guardian list, but I think they are all UK based authors, so you will be less likely to have heard of them. I’m not going to tackle the list, but I may read one or two – I need to look into it a bit more. Andreea, I agree – it is beautiful. Sorry for adding to your wish list! Thanks for including the link to the Guardian First Book long list. I’m a total sucker for awards list of all sorts. Haven’t read any of them yet! What an amazing slew of nominations. I’ve only been following you a short time, and I’m already sure they’re all well-deserved! Congrats! 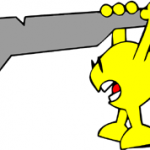 Megan, I have a problem with award lists – I just want to read them! I am resisting for now, but the short list may draw me in. Great links and congrats on your nominations, Jackie! They’re all well-deserved!! Awesome, congratulations on all the awards, BBAW and otherwise. All very well deserved. The Calligrapher’s daughter caught my eye too, more because of the lovely cover. Violet, I plan to read The Caligrapher’s Daughter soon, so I’ll let you know if the words are as good as the cover! I feel both ecstatic and strangely guilty that I made you want a book. It’s so worth it, though! softdrink, Why are you feeling guilty? I’m sure it is a great book. I think it’s because I have so many unread books, that I always feel guilty when I find another that I just have to read. softdrink, Don’t feel guilty – feel proud!! I think it is great you introduce me to so many good books.